While Barack Obama's choice of Rahm Emanuel, the Chicago-born son of Israeli Jews, as the White House Chief of Staff has made news in the United States, the bigger news of the growing Jewish strength in US Congress has not received much attention. Jews make up only about 2% of the US population. However their representation in the US executive, legislatures, the Supreme Court is at least five times at about 10 percent plus. The exclusive club of Nobel laureates is dominated by its Jewish members, a testament to Jewish culture of hard work, commitment and achievement. Their numbers and power in the world of business, finance, media and entertainment, Washington think tanks, academia and top professions of accounting, law and medicine are even greater. Jerusalem Post reports that the next session of Congress will include 45 Jewish lawmakers, a new record, after Democrats Alan Grayson of Florida and John Adler of New Jersey took two House seats from the Republican column. Jared Polis, also a Democrat, was widely expected to win his Colorado House seat to match the previous record, set in the 2006 elections. The House will have 32 Jewish members. Only the class of 1990 had more Jewish members - 34 - but there were fewer Jewish senators at the time. The next Senate will have 13 Jewish members, the same as the previous session, despite a toss-up race in Minnesota, where both Republican incumbent Norm Coleman and his Democratic challenger, comedian Al Franken, are Jewish. I admire the Jewish people for their culture of hard work and achievement. We should all emulate that. I also make a distinction between Israel lobby that pushed for Iraq war and the Jewish citizens in America, most of whom opposed the Iraq war. Vast majority of Jewish Congressmen and Senators are elected with AIPAC money and support, making them beholden to the Israel lobby. I see this excessive power of Israel lobby or any other pressure group whether Muslim, Jewish, Christian, NRA or corporations as a threat to US democracy. The corrosive effect of money and influence peddling in politics is adversely affecting our executive, legislature, even judiciary. The powerful have gotten away with a lot lately, on both Wall Street and Main street. Iraq war was ignited by the neo-conservatives, most of whom were supported by the Likud-leaning Israel lobby, people such as Wolfowitz and other PNAC (Project for the New American Century) proponents. The Iraq war, described as the three-trillion dollar war by Nobel laureate economist Joe Stiglitz, has now radicalized the Muslim world, reduced US influence in the world, sunk the Republican party and almost bankrupted the US. Obama's mandate to negotiate with Iran in the face of the Israeli opposition is likely to be the tested soon. Given the past experience of other US presidents' inability to stand up to the growing power of the Israeli supporters in the US, I am not too sanguine that Obama will succeed. The recent election results, including Obama's historic win, will probably not change much as far the US Middle East policy is concerned. If anything, these results will likely make it extremely difficult for the US to act independently and play the role of an honest broker in any international issues involving Israeli interests. As the Iraq war has shown, the outcome of potentially aggressive and unilateral US foreign policy dictated by the Israel lobby will not be in the best interest of Israel, Arabs and the rest of the world. Those of us who care for Israel must understand this fact, if they share the goal of moving toward a more peaceful and prosperous world. Riaz, you see the same data as I do. You react with trepidation. Mine is wonder. Don't know if the word "prejudice" is too strong here. Why not focus on their culture of excellence and try and replicate that? Why not analyze how they do what they do and imitate? This obsession with Palestine in the Muslim world clouds clear-thinking. That the Arabs make noises of solidarity (and they are just noises) is one thing. But subcontinental hearts bleeding for Palestinians just boggle this mind. Besides that tenuous religious link, there is absolutely nothing in common. And we have no shortage of "internally displaced persons" of our own. I admire the Jewish people for their culture of hard work and achievement. We should all emulate that. I also make a distinction between Israel lobby that pushed for Iraq war and the Jewish citizens in America, most of whom opposed the Iraq war. I see this excessive power of Israel lobby or any other pressure group whether Muslim or Jewish or NRA or corporate as a threat to US democracy. The corrosive effect of money and influence peddling is adversely affecting our executive, legislature, even judiciary. The powerful have gotten away with a lot lately, on both Wall Street and Main street. Iraq war was ignited by the necons, most of whom were supported by Israel lobby, people such as Wolfowitz and other PNAC proponents. The Iraq war has now radicalized the Muslim world, sunk the Republican party and bankrupted the US. "In an interview with Ma'ariv, Emanuel's father, Dr. Benjamin Emanuel, said he was convinced that his son's appointment would be good for Israel. "Obviously he will influence the president to be pro-Israel," he was quoted as saying. "Why wouldn't he be? What is he, an Arab? He's not going to clean the floors of the White House." The Ma'ariv article also quoted Dr. Emanuel as saying that his son spends most summers visiting in Tel Aviv, and that he speaks Hebrew, but not fluently." Libertarian - the above quote will help you distinguish between Jewish thinking and Zionist thinking. America is a immigration country, so its free for all with equal opportunity. Indians have been fascinated for long by scale achievements of Jewish people and their intelligence, they have a Midas touch in business and engineering genius. Hope we could emulate them in a small way at least. Anyway we cant beat their racial superiority.As for Arabs, they will kill each others unto death if there was no Jewish state in their midst. Palestinian suffering is artificial in the sense that Arab and Muslim states send millions of dollars to them for fighting Israel and but never address their infrastructural and basic problems lest they loose interest in jihad. The reported pathetic conditions in Palestinian refugee camps in neighboring states of Palestine is telling. Yes, Bernard L. Madoff is a Jew. Bernard Madoff was arrested and charged today with allegedly running a $50 billion Ponzi scheme, according to U.S. authorities. According to Yeshiva University, "Bernard L. Madoff, a member of the University’s Board of Trustees since 1996, was elected chairman of the Board of Directors of Sy Syms School of Business in 2000. Mr. Madoff is chairman of Bernard L. Madoff Investment Securities, one of the nation’s largest third-market dealers in New York Stock Exchange and over-the-counter securities. A Benefactor of the University, Mr. Madoff recently made a major gift to the Sy Syms School." "Bernard Madoff is a longstanding leader in the financial services industry," his lawyer Dan Horwitz told reporters outside a downtown Manhattan courtroom where he was charged. "We will fight to get through this unfortunate set of events." Madoff had long kept the financial statements for his hedge fund business under "lock and key," according to prosecutors, and was "cryptic" about the firm. To understand reaction in the Jewish community to the growing scandal around investor Bernie Madoff, it helps to know a few words of Yiddish. Yiddish was the language of Jews in Eastern Europe, with a rich history in literature, theater and music, until that community was decimated in the Holocaust. Today Yiddish is most common in communities of Orthodox Jews. though “bubbie” (grandmother) and “zaide” (grandfather) probably don’t appreciate being referred to as geezers. Madoff was a “macher” (a big shot, a mover-and-shaker) among machers. Madoff also is - allegedly - a “gonif” (thief, embezzler). A few folks have used Yiddish words regarding parentage and body parts, but we’ll skip those. The Jewish community is “farklemt” (depressed, distraught, grieving), but it goes beyond that. The whole thing is a “shandah” (disgrace). For those concerned with image, it’s a shandah for the “goyim” (non-Jews, in front of whom Jewish community looks bad). “Catastrophe” and “devastation” are English words being used. In the United States, at least one charity has closed. “It’s devastating,” Arthur Epstein, a major supporter of local Jewish charities, told the Jewish Telegraphic Agency, referring to the loss of the Robert I. Lappin Charitable Foundation near Boston and the programs it supported. An American university professor e-mailed me from Jerusalem that the Madoff case is all that’s being discussed in the philanthropic world in Israel, where there is fear that more than 50 organizations that Madoff supported or that invested in his firm may shut down before “Shabbat,” the Sabbath that begins at sunset Friday. That fear in the Jewish community extends from the Los Angeles to Boca Raton and Palm Beach, from New York City to Washington, D.C., to Boston and points elsewhere around the globe. 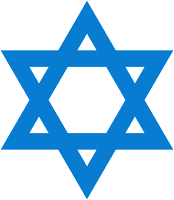 With losses ranging from tens of thousands to tens of millions of dollars, the casualties include national Jewish organizations; local Jewish federations, which support programs throughout their communities; charities and foundations supporting a range of causes; hospitals and schools, from elementary through university. Published reports say that one school, Yeshiva Univ., may have lost as much as $100 million. Untold numbers of children, students, teachers and researchers, the needy and the disabled, retirees of modest means and some of wealth will suffer anonymously. Some victims of the alleged swindle have well-known names: Spielberg, Wiesel, Lautenberg, Zuckerman. Writing in the Israeli newspaper Ha’aretz, Bradley Burston recognized that at least one segment of society would find advantage in the situation. Now that is a shandah. NEW YORK (AP) -- Of all the words that have been used to describe the Bernard L. Madoff scandal, the most emotionally charged may be "Jewish." The disgraced investment guru is accused of orchestrating a $50 billion Ponzi scheme that preyed heavily on fellow Jews and ultimately drained the fortunes of numerous Jewish charities and institutions. There's nothing new about con artists targeting their own kind. There's even a word for it -- affinity fraud -- and it has struck numerous religious, ethnic and professional groups. But the allegations against Madoff are particularly wrenching for some in the Jewish community, who fear that the sensational case is fanning vicious stereotypes about Jews that go back to the Middle Ages. The Anti-Defamation League cites a spike in anti-Semitic comments online after Madoff's Dec. 11 arrest. A columnist for the Israeli newspaper Haaretz lamented the case as "the answer to every Jew-hater's wish list." And the American Jewish Committee's executive director, David A. Harris, wrote a letter to The New York Times criticizing what he saw as "a striking emphasis" on Madoff's faith in one of the paper's many stories about the scandal. The case is "fodder for the bigots," Abraham H. Foxman, the ADL's national director, said in an interview this week with The Associated Press. "It's both embarrassing and it's painful." It's difficult to describe the case in any detail without mentioning Madoff's religion. The 70-year-old money manager and former Nasdaq stock market chairman donated hundreds of thousands of dollars a year, much of it to Jewish causes. And many of the known victims of his business, Bernard L. Madoff Investment Securities, are big names in Jewish life. Yeshiva University, one of the nation's foremost Jewish institutions of higher education, lost $110 million; Hadassah, the Women's Zionist Organization of America, lost $90 million; director Steven Spielberg's Wunderkinder Foundation acknowledged unspecified losses; and a $15 million foundation established by Holocaust survivor and writer Elie Wiesel was wiped out. Jewish federations and hospitals have lost millions and some foundations have had to close. Madoff is charged with securities fraud and is under house arrest in his Manhattan apartment with round-the-clock security. His lawyer has said he intends to fight the charge. The damage to the Jewish community is psychological as well as financial, said Kenneth Bandler, a spokesman for the AJC. He said his organization declined to invest with Madoff earlier this year because it was unable to decipher how Madoff was producing his renowned returns. At Jewish organizations and synagogues, Bandler said, people ask themselves: "How could someone who is held in such high esteem in the Jewish community knowingly rip off what were supposed to be his friends, the organizations he admired and supported?" Members of churches, minority groups and various occupations have wondered the same thing after falling victim to similarly targeted frauds. Religious-based schemes alone swept up more than 80,000 people and nearly $2 billion nationwide from 1998 to 2001, according to the most recent figures available from the North American Securities Administrators Association, an investor-protection group. The Baptist Foundation of Arizona told investors their money would build churches while paying returns. In fact, their savings were sucked into what authorities called a $550 million Ponzi scheme in the 1980s and 1990s. Several foundation officials were sentenced to prison in 2006 and 2007. Chicago real estate investment firm Sunrise Equities Inc. had the blessing of Muslim clerics, who said its dividends conformed with Islamic laws against earning interest. Its owner disappeared this past August, leaving 200 of his fellow Muslim immigrants with losses that could total $50 million. Whatever the circle, affinity frauds exploit trust. Victims are approached by one of their own and "therefore there's less suspicion, there's less concern," said Joseph P. Borg, the Alabama Securities Commission's director and a former NASAA president. Adding to the sense of betrayal in the allegations against Madoff are worries about whether they feed into centuries-old, ugly caricatures of Jews. Since Jews served as lenders in medieval Europe, where they were barred from many other occupations, they have sometimes been portrayed as miserly, greedy and obsessed with money. In just one example, Shakespeare's Shylock, the Jewish character who demands a pound of flesh in payment for a loan in "The Merchant of Venice," has become synonymous with usury. In his letter to the Times about a Madoff article, the AJC's Harris wrote: "Yes, he is Jewish. We get it. But was this relevant to his being arrested for cheating investors, or so key to his evolution as a businessman that it needed to be hammered home again and again?" The Rabbinical Council of America issued a statement Wednesday underscoring that "there is no reason to believe such terrible behavior is more common among Jews" than anyone else. Still, anti-Semitic broadsides have peppered the Internet in the wake of Madoff's arrest, some in highly visible public-comment sections of popular news sites, Foxman noted. Some get removed by the sites' administrators or draw replies noting there are bad apples of all creeds and in all walks of life. Victims also extend to all creeds and walks of life -- banks, insurers, pension funds and even the International Olympic Committee are among those who say they've been taken by Madoff. Still, the scandal has reverberated throughout the Jewish community. This week, representatives of about three dozen Jewish foundations met in New York City to come up with a plan to help Jewish nonprofits that lost money with Madoff, said Jeffrey Solomon, president of the Andrea and Charles Bronfman Philanthropies. Solomon said the foundations agreed to contribute to a pool of money that will be distributed to hard-hit organizations. "This is a tragedy by any stretch of the imagination but within the context of $300 billion worth of donations to American charities, we shouldn't lose sight of the larger picture -- both the generosity of Americans and the effectiveness of the nonprofit system," he said. President Obama has nominated Ms. Elena Kagan, a woman from New York, to replace Justice John Paul Stevens on the US Supreme Court. In addition to being a liberal, she shares her Jewish faith with two serving liberal justices, Ruth Bader Ginsburg and Stephen Briar. She has never been a judge before. But, with her Princeton undergrad and Harvard law school education and Supreme Court clerkship for Justice Thurgood Marshall, she appears to have strong legal qualifications and background to serve on the apex court. In 2003 Larry Franklin, the ‘go-to man on Iran’ at the Pentagon under undersecretary of defense for planning Douglas Feith, carried a draft confidential finding on Iran out of the building and gave it to Steven J. Rosen and Keith Weissman of AIPAC’s Middle East Bureau. They not only were happy to receive the classified document, but they ran with it right over to the Israeli Embassy and delivered it to Naor Gilon, the embassy official with the Iran portfolio. Rosen and Weissman, and probably AIPAC in general, were under FBI surveillance on suspicion of espionage, and that is how they were caught. The FBI field officers were astonished when Franklin came into the picture unexpectedly. Less astonished, I suspect, when Naor Gilon did. Franklin confessed to wrongdoing, and spent some years in jail was sentenced to the 10 months he spent under house arrest; he may still work for the Pentagon! But Rosen and Weissman maintained they had done nothing illegal, since under US law for someone who is not a government employee to receive classified documents from a third party is not illegal, nor is sharing them with others once they have been received. AIPAC fired them, so they had to fight their own legal battles. The prosecution was ultimately dropped. The Neoconservatives say that the case should never have been brought, since it just criminalized the routine horse-trading in information typical of Washington. Rosen has now launched a $20 million wrongful termination suit against AIPAC. He maintains that his action of delivering the classified document to the Israeli embassy was standard operating procedure in AIPAC, and that he did nothing out of the ordinary, and that he should not have been fired. He is also threatening to name details of this routine spying. Rosen, ironically, was hired by Daniel Pipes’ so-called ‘Middle East Forum.’ Pipes runs Campus Watch, which is a neo-McCarthyite attempt to intimidate US college professors into toeing the Likud Party line whenever they talk about Israel and Palestine. So it is only natural that an indicted spy for Israel, Rosen, should be on staff and energetically using dirty tricks to smear the reputations of patriotic Americans. Whether the allegations about AIPAC routine spying are true or not, Rosen and Weissman certainly did exactly the same thing Julian Assange did, and yet they are free men. Rep. Pete King (R-NY), who wants Eric Holder to prosecute Julian Assange of Wikileaks, hasn’t objected to the cases against Rosen and Weissman being dropped, and hasn’t asked for an investigation of AIPAC. One of the problems congressmen like this will have in crafting anti-Wikileaks legislation is that they may well be driving a nail into AIPAC’s coffin, as well. King, who keeps accusing Americans of being terrorists, is also known as a long-time supporter of the Irish Republican Army. You have to love hypocrisy when it is taken to this Himalyan scale. It has a kind of putrid beauty. WASHINGTON – The Congress that will be installed Wednesday might be losing four of its Jewish members, but Republicans and several pro-Israel advocates insist it will remain as supportive as ever of the Jewish state. Though the Democrats’ shellacking in the November election reduced the numbers of Jewish members from 43 to 39 – though a new Democrat Jewish representative and senator will be among them – Silverman pointed out that the sole Jewish Republican, incoming Majority Leader Eric Cantor, will be the highest-ranking Jewish member ever. Silverman predicted that the most visible change on Israel will be the extent to which Congress now challenges the Obama administration over its handling of the Middle East. The non-partisan American Israel Public Affairs Committee described the 112th Congress as “expected to be the most pro-Israel Congress ever” in its Near East Report on the incoming legislative class produced after the elections. But others, particularly Democrats, are concerned about what the new Congress will bring on Israel, especially since many of the freshmen are Tea Party candidates without a long history of involvement in international issues and bent on cutting the budget. “My greatest concern is two-fold: one is the unknown [members] and second is the ramifications of the deep fiscal conservatism and what that means for foreign aid and America’s involvement in the world,” said David Harris, president and CEO of the National Jewish Democratic Council. Already, incoming Republicans are calling for $100 billion in budget cuts, and many have criticized foreign aid expenditures. Silverman said, though, that Israel funding is an exception since Republicans are looking to cut foreign expenditures that haven’t been used properly and effectively. “I’m sure that Israel’s [aid] will pass with flying colors,” he said, adding that in his conversations with new members – both Tea Party backers and others – he has heard resounding support for a strong US-Israel relationship. She referred to a long history of bi-partisan support for Israel that she expects to continue, and said that while key Jewish Democratic supports of Israel will no longer be in their leadership roles, she expects strong replacements, pointing to Ileana Ros-Lehtinen taking over from Howard Berman as chair of the House Foreign Affairs Committee. Silverman also said that the new Middle East subcommittee chairman Steve Chabot, who takes over from Gary Ackerman, would “hit the ground running” and that Kay Granger, who will replace Nita Lowey as chair of appropriations’ foreign operations subcommittee, was well-versed in Israel issues from several trips there. When right-wingers create a climate of hate against liberal government, and then individuals act on that hate as they did in blowing up a Federal Building in Oklahoma City and now this premeditated murder of several people (we are still praying for the survival of Congresswoman Giffords) in hate-filled Arizona (where she had been attacked viciously but not physically for her support of health care reform), the state whose racism has made it famous around the world for profiling Mexican immigrants, there is no call to investigate and protect ourselves from these right-wing hate mongers. Similarly, when Yitzhak Rabin was murdered by right wing Jews, the right-wing ultra-nationalist community in Israel's West Bank settlers never faced any serious investigation of their role in creating the hateful climate that helped produce the murderer. And don't underplay the anti-Semitic elements either. According to Ha'aretz newspaper, the killer's website had Hitler's hate book Mein Kampf listed as one of his favorite books! When Jews are targeted, it's rarely "by chance." Right-wing haters particularly hate Jews, since Jews were the most consistent non-African American constituency for the Democratic Party , in 2010 voting 70% for Democrats. If the rest of the country voted like Jews we'd have a liberal Democratic Congress. And this is not lost on the right-wingers. Just listen to the tapes of Nixon and you see how extreme the hatred of Jews is revealed to be by the "moderate" Nixon, and now we have the more extreme elements of the Right coming to power. Jews are, in the minds of these haters, the same as liberals or progressives--maybe even the worst of them. And then, the sexism of the right manifests dramatically in attempting to kill a woman--the perfect symbol of uppity feminists who dare to take power away from the male chauvinists who thought that "their" country was about white male Christian power. You won't hear the media dealing with these dimensions of the reality--but they are central. Lynn digs up 32 IQ studies of American Jews and seven of British Jews. He concludes that Ashkenazi Jews (ones with Yiddish-speaking ancestors) average about ten points higher than non-Hispanic white gentiles, or 110 on a scale where white Americans and Brits average 100. That would put the median Ashkenazi Jew at about the 75th percentile among whites. IQ testing in Israel suggests that the other Jewish communities trail the Ashkenazi. Lynn estimates that Sephardim score about two points less than white gentiles, or 98. The Mizrahim (Jews from the Arab world) average around 91. That ten-point gap between Ashkenazi and gentile whites is substantial, but not enormous. The proportion of individuals with IQs of 115 or above is about twice as great among Jews as among white gentiles. But the absolute number of gentiles is much larger. Jews are, per capita, twice as common relative to American gentile whites over the 115 IQ level that Lynn sees as the bottom threshold for the professions, but are about 5 times more common per capita among doctors and lawyers. And in many other developed countries, these ratios are even higher. "This suggests that the success of the Ashkenazim is attributable to more than just their high IQs and that they also possess strong motivational and work-ethic qualities." This profound subject has only just begun to be explored. Religious groups are rated more positively by their own members than by people from other religious backgrounds. Catholics as a group, for example, receive an average thermometer rating of 80 from Americans who describe themselves as Catholic, compared with 58 from non-Catholics. Similarly, evangelical Christians receive an average rating of 79 from people who describe themselves as born-again or evangelical Christians, compared with an average rating of 52 from non-evangelicals. Among non-evangelicals, roughly as many people give evangelicals a cold rating (27%) as give them a warm rating (30%). ''The Hollywood Jews created a powerful cluster of images and ideas - so powerful that, in a sense, they colonized the American imagination.'' Neil Gabler "An Empire of Their Own"
The 2014 Hollywood Diversity Report released this week by the Ralph J. Bunche Center for African American Studies at UCLA suggests that the media and entertainment industry is dominated by white men. The UCLA report finds that only 16.7 percent of film leads, 17.8 percent of film directors, and 11.8 percent of movie writers between 2011 and 2013 were people of color. What the report fails to mention is the obvious fact that most white men dominating Hollywood are Jews. It's both comical and depressing at the same time. One commercial says Mitt Romney will raise taxes on the middle class by $4,000 followed immediately by an ad claiming President Barack Obama's plan will raise taxes on the same people by $5,000. The next ad tells us that Romney wants to throw Grandma out in the cold by dismantling Medicare. Two minutes later, an earnest voice informs us that Obama has "stolen" $700 billion from Medicare to pay for Obamacare and its government death panels. After almost two years of nonstop recall elections, we in Wisconsin have grown so inured to political advertising that it amounts to little more than irritating background noise. But to someone from the 41 non-battleground states, the incessant politicking must be pretty astonishing. Maybe people from California or Texas might feel as though they are being taken for granted when they see the amounts being spent in Wisconsin. Perhaps they're jealous at all the special attention being lavished on Wisconsin by the next president. But what does all that spending really amount to? Yes, it is easy to tune out the ads and to roll your eyes when one comes on every 15 minutes, but there is something very disturbing going on beneath all this that isn't so amusing. Because today's politicians rely so heavily on television advertising and believe that they absolutely have to have it to win their elections, raising money has become their primary mission. It's why Gov. Scott Walker spent so much time out of state at big-ticket fundraisers before his recall election, all the while claiming the recall effort was being driven by out-of-state interests. It didn't matter how hypocritical it looked; money was what he needed to win the recall election. It's why Romney spent so little time campaigning even as his campaign was faltering after the Republican National Convention; he apparently believed fundraising was more important than campaign rallies in front of actual voters. It's why Obama still attends as many Wall Street-sponsored fundraisers as he can, even as he simultaneously campaigns on the evils of the unregulated greed of the big banks. It's all money all the time. What gets lost in this sea of campaign cash is the average voter's voice. If Romney thinks he absolutely has to win Wisconsin to get elected, he should be practically living here, telling us what he is going to do to make our lives better. Instead, he's in Texas, which he will carry by 15 points because that's where the big campaign donors live. So the next time you hear an ad telling you that Obama has destroyed the country or that Romney's only purpose in life is to make the lives of the super-rich even cushier, remember what you aren't hearing is what the candidate is going to do for us here in Wisconsin. Remember that the commercial cost a lot of money to produce and put on the air. Remember that the candidate got that money from someone who has his own agenda and it probably isn't the same as yours. Remember the candidate's loyalty that may have been bought by the donor. Then remember how a democracy is supposed to work, and let's all try to figure out a way to get back to that. Valerie Plame Wilson, a former covert CIA operative, caused a controversy on Thursday when she tweeted several antisemitic messages to her nearly 50,000 followers. With Twitter users lambasting her for her comments, Plame Wilson sent out several apologetic tweets two hours after her original controversial one. She tweeted that she "messed up'' having only skimmed the article, and that the whole situation was ''a doozy.'' She then replaced the pinned tweet about Trump with her apology. Plame Wilson was the center of a political scandal in the early 2000s after her identity as a covert officer in the CIA was leaked by a journalist. Plame Wilson had penned a memo to senior officials in which she recommended her husband, Ambassador Joseph Wilson, for a diplomatic mission to investigate claims by the then-president that Iraqi President Saddam Hussein had purchased uranium from different African countries. The scandal and subsequent court cases led to Plame Wilson's resignation from the agency in 2005. Since then, she has stayed largely out of the media - aside from selling the rights to her story to Warner Bros. for a film than was highly criticized for its inaccuracies - after moving to New Mexico to work as a consultant.